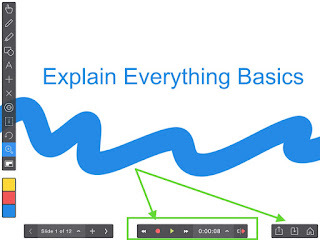 Explain Everything is an amazing interactive whiteboard app and there are so many things you can do with it to enhance learning. On their website, they list several different ways to use it and include all the Explain Everything features. Although there are tons of different ways to use Explain Everything, I’ve narrowed it down to four of my favorites. 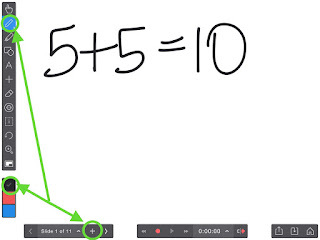 The first two are powerful because they can easily turn an iPad or tablet into an interactive whiteboard, just like that. Airserver, Apple TV, or something similar in order to display your device screen. Apple Pencil, stylus, or your finger. Interactive Presentations - If you want to display a presentation to your students and make it interactive so for example you can write on it or manipulate objects, you can do that with Explain Everything. There are different options to make your presentations interactive. 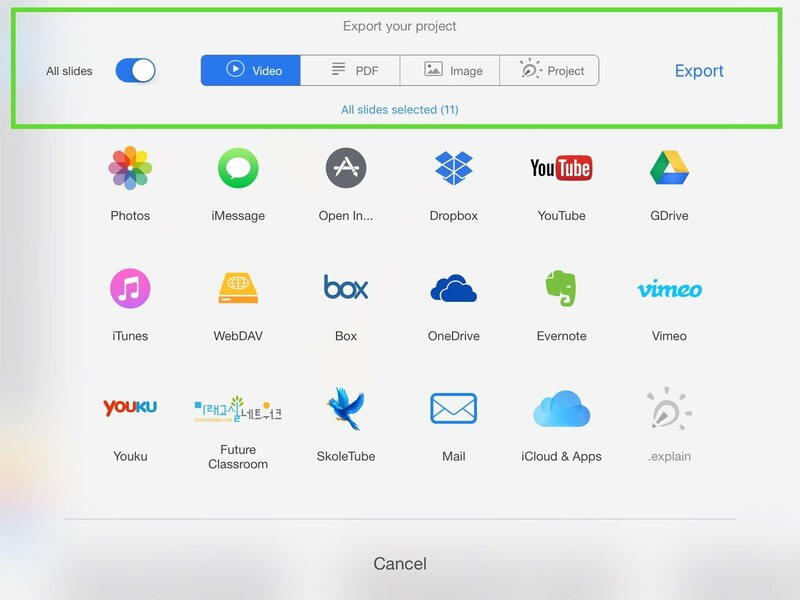 Import a PDF or image of your existing presentations. 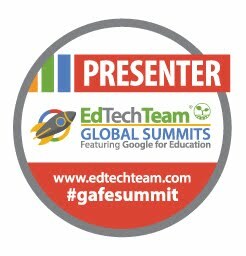 Your presentations can be Google Slides, PowerPoint, ActivInspire Flipcharts, etc. Explain Everything will easily connect to your Google Drive if have the PDF or images you want to import saved in there. Once you import, you can draw right on the slides, add moveable shapes, etc. just like you would using interactive software such as SMART or Promethean ActivInspire. 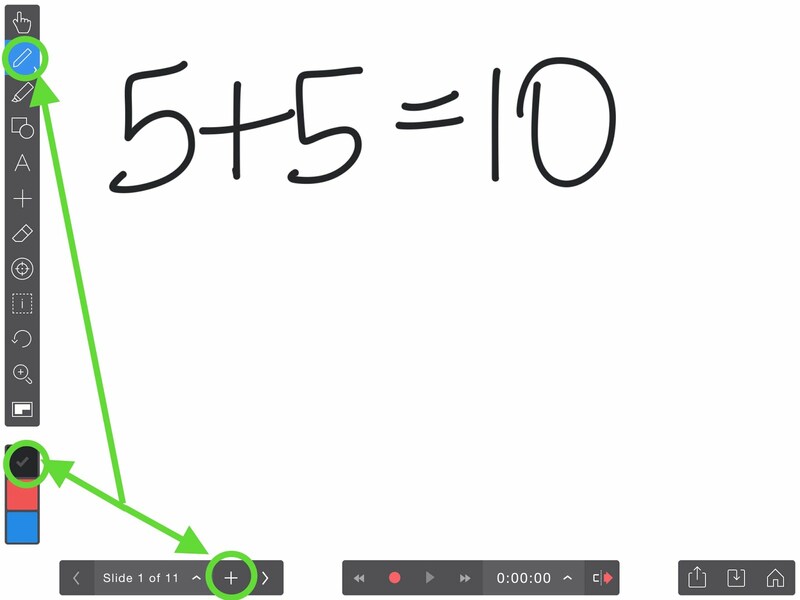 Whiteboard - Just like a whiteboard hanging in a class, you can write on an Explain Everything slide. With a full range of colors to choose from, you can bring your whiteboard drawing to life. And you are not limited to a small space to write on. You have an infinite canvas which means you can zoom in and out of it to fit what you need. You can also add new slides just as you would in a presentation format. 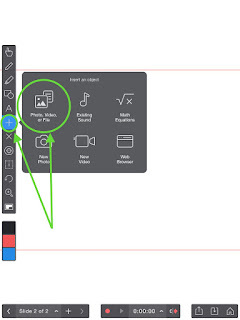 To write or draw, click the pencil icon. You can change the width by pressing down on it. You can change the color from the bottom left color tiles. Pressing down on the colors lets you choose different colors. 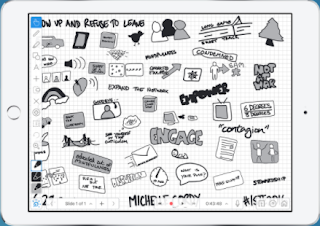 Sketchnotes - Display visual thinking with Explain Everything. In addition to the ease of drawing, writing, adding shapes, etc. one super reason to use this app for sketchnoting has to do with the infinite canvas you work on. For example, you can draw something that might fit your entire screen. To make more room on your screen, you can select what you drew and pinch it to make it smaller then move it anywhere on your canvas. by co-founder Reshan Richards during the closing keynote at ISTE 2016. Explanation Videos - Using Explain Everything is a perfect tool for teachers to create tutorials and lessons for video-based instruction. It is also perfect for students to use as a tool for showing their understanding. The possibilities are endless as to the content you could create using this format. The record button on the bottom of the screen allows you to record, pause, playback. Then you can save your project and export it. 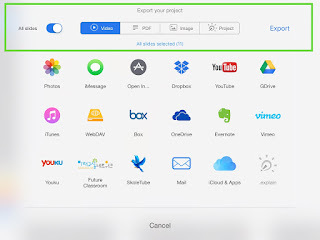 You have the option to export your project as a Video or other formats as well such as PDF and images. There is a paid version of Explain Everything (blue icon) and a free version of Explain Everything (white icon). On their website, you can see the detailed comparison between the two.